Many women appreciated the beauty of faux fur. It is made by attaching to the knitted fabric of the villus of natural or chemical fiber. Products look elegant and have an affordable price. Moreover, such fur is much lighter than natural and does not react so badly to the negative influence of the environment. In order for outerwear to keep an attractive appearance for a long time, you need to know how to wash an artificial fur coat at home and not to spoil it. First of all, it is necessary to find out whether it is possible to wash an artificial fur coat. Manufacturers claim that yes. It is only necessary to strictly adhere to certain rules and do it carefully. Before washing, be sure to check the label of the fur coat, which is sewn from the inside. It says how to clean and wash the product. the fur coat cannot be rubbed intensively, as usual linen. You just need to hold it in warm water for a quarter of an hour and gently wet it several times with your hands. For washing, use liquid detergent for delicate or wool items. It is well rinsed, effective at low temperatures and prevents tangle of lint. How to wash an artificial fur coat, if the purchased gel was not at hand? In this case, you can use shampoo or liquid soap. Many ask whether it is possible to wash faux fur in a typewriter. Most often this is not prohibited, but if there is time and effort, it is better to do the procedure manually, especially when wearing a fur coat with a long nap. After the machine wash, it is likely to fall down, and you have to spend a lot of effort to put it in order. If the sleeves or the collar are slightly dirty on the fur coat, it is not necessary to completely wash it. You can dissolve a little gel in a liter of water, lather up, moisten a sponge in it and clean the soiled areas. After you will need to get rid of the remnants of foam running water and dry the fur coat. Before completely washing the fur coat, clean it thoroughly from dust. Knock on it with a stick for knocking out or vacuum it, turning it on at minimum speed and wearing a nozzle for upholstered furniture. Then you will need a large basin for water. If not, soak the fur right in the bath. There is enough space for the longest fur coat. Gather the right amount of lukewarm water, carefully dissolve the washing gel in it and submerge the fur coat. Gently press her hands to the bottom of the bath so that it is completely soaked with water. Turn the product several times from side to side, gently squeezing with your hands, and leave for half an hour. Then release the soapy liquid and rinse the 3 thing once in water. Be careful that the nap is not moving away from the base. You can take a shower and thoroughly wash the coat under a warm stream. In the last rinse, it is advisable to add a couple of tablespoons of vinegar so that the dried fur glistens better. Leave the fur coat in an empty bath so that it should be a glass. After a few hours, wrap it in a large terry sheet. Squeeze a little and put on the grid on the bath. When the product dries out slightly, hang it on strong hangers and place it in the open air away from the sun. Wait until the fur coat is completely dry, and then go over it with a comb, smoothing and smoothing the fur. Before you wash the artificial white fur coat, inspect its pile. Sometimes he gets a yellowish tint, which greatly spoils his appearance. To get rid of it, you need an acidic liquid. Mix water with lemon juice in the same proportion and clean the fur with this solution before washing. Do the procedure carefully, well soaking each hair. Combine them in equal quantities, moisten a sponge with liquid and wipe the fur. After such a cleaning, you can not wash the fur coat, but simply dry it in a draft. Many girls are looking for a way to wash a wedding coat. After the celebration, it often leaves traces of lipstick or perfume. 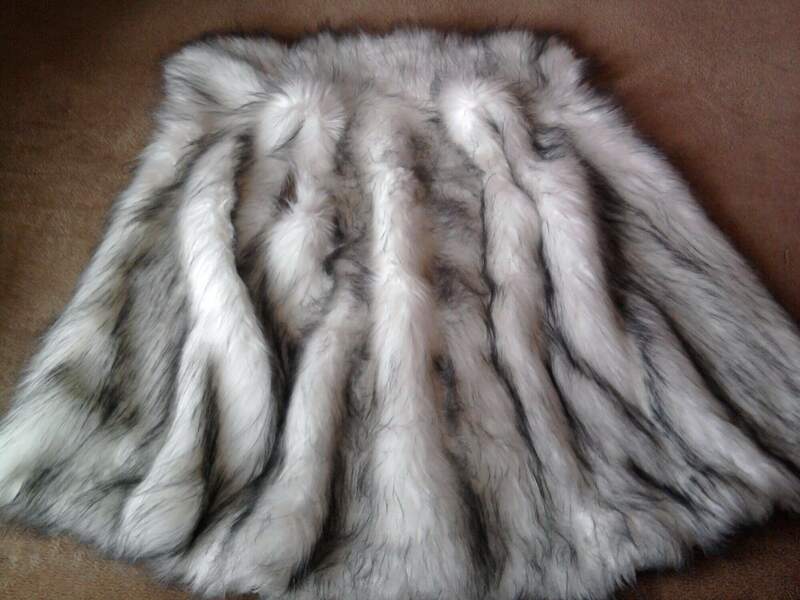 If it is made of faux fur, it can be refreshed by hand with liquid powder. Cosmetic stains can be easily removed with a wool carpet cleaner. Purchase “Vanish”, foam the cap of the liquid in a small amount of water and apply foam to the dirt. After a couple of minutes, remove it with a dry cloth. The stain should disappear. Traces of oil are cleaned with acetone. Moisten a cotton swab in a solvent and gently rub the stained villi. If you do not have time to clean the clothes with your hands, read how to wash the artificial fur coat in a washing machine. Check the label for appropriate labeling. Most often it is present on products with a short thick pile. This kind of fur can be washed in a typewriter. But be careful, a large long coat should be taken to the laundry. Artificial fur absorbs a lot of water and this makes it very heavy. The drum can not withstand the weight of the product and fail. Before washing, carefully inspect the coat. Check the pockets, unlock the decorations. If there are old stains on the outer clothing, they should be pre-treated with an oxygen stain remover or ammonia. When using any cleaning agent, do not forget to pre-test them on an inconspicuous area of ​​fur. Turn the thing prepared for washing inside out, button buttons, snakes. If the soaking function is present in the washing machine, load the fur coat into the drum and turn it on. When it is absent, take water into the basin, immerse the product there for 15 minutes, and then transfer it to the machine. Select the delicate wash mode. Set the temperature to 30-40 C and disable spinning. Remove the washed item from the drum, let it drain in the bath, gently squeeze in a towel and hang to dry on a hanger. In the process of drying periodically comb the fur with a soft brush. If you are not sure whether it is possible to wash the artificial fur coat in a typewriter, and do not want to soak the thing in the bath, try to fix it in the following way. Place product on hangers and hang over bath. Prepare a solution from a mild shampoo without conditioner. It is made from the calculation 1 tsp. on 200 ml of water. Moisten the foam rubber in it and treat the pile with frothy liquid. Then clean the foam with a new wet sponge and completely dry the fur. If your clothes need to be slightly refreshed, use this simple method, and you will no longer worry about how to wash a fur coat from faux fur. When you want to clean the coat dry method, use starch. Put the product on the table, sprinkle it abundantly with white powder, trying to make it penetrate between the pile. 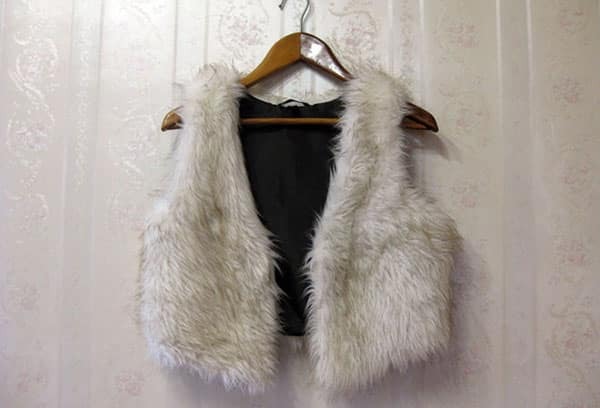 After gently combing the starch from the fur, shake the fur coat and hang it on the hanger. To make the fur shine and shimmer in the sun, wipe it with a rag soaked in glycerin and comb the pile. Tomato stains - get it right! How to wash a coat of wool in a washing machine? I wash my coat by hand. I'm afraid of machine wash. I put a little warm water in the bath, pour liquid detergent into the bath, then beat it all into foam and dip my coat for an hour and a half. I do not rub, I do not clean, I just squeeze it well and caress with antistatic. I dry on a thistle a few days, then gently comb. About some of the nuances written above did not know. Be sure to use the tips.